Pecan trees are the largest of the hickory trees and known for their prolific nut production. With their full, dark-green leaves, these beauties can grow anywhere from 70-100 feet high, making them a nice aesthetic addition to any landscape and an excellent source of shade. There are different varieties, but general pecan tree care and requirements are basically the same for all. Step 1: Anticipate the tree’s full growth and plant it at least 30 feet away from any other large tree or building structure. Be sure the soil is deep, organic, well drained and full of direct sunlight during all daytime hours. Step 2: Dig a hole large enough for the full root system to spread naturally. Add water, then soil, then water, and so on, until the hole is filled with wet soil. Push down the soil around the trunk of the pecan tree and apply mulch at the base to retain moisture. Step 3: Water young pecan trees each time the soil around it gets dry during the tree’s first summer. Gradually reduce watering after the first six to eight months. Adult pecans are drought tolerant, and only need watering during extremely hot and dry conditions. 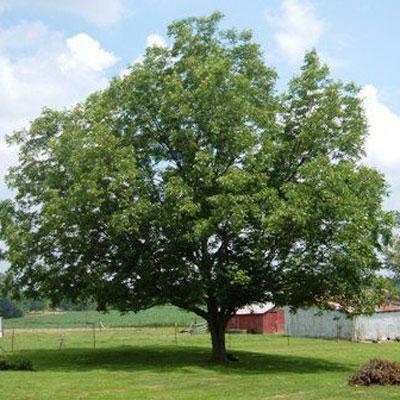 Step 4: Growing pecan trees require fertilization once or twice a year. Use a 10-10-10 fertilizer mixed with zinc nutrients and fertilize below the grass roots. Step 5: Gather your nuts once they have fallen to the ground and crack them open shortly after harvest. 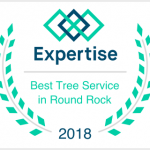 Pecan tree care is rather simple, but careful attention must be paid to the weight of the limbs. When they have fruit/pecans, the tree’s limbs can take on two to three times the amount of weight they normally carry throughout the year. This is the especially true after a heavy rain, which can double that weight at the very least. Be pro-active. Without preventative trimming, the four to five pounds of extra weight on the ends of each limb can end up costing you more in the long run. Not to mention the inflicted damage can risk the life of your growing pecan trees. 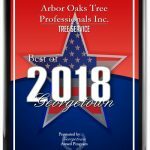 Planting pecan trees is a wonderful option for many properties, but you’ll want to seek the help of a professional arborist to be sure you’re going about it correctly.